Contemporary, Modern & Multicultural Art & Acting Classes, Tours and Parties for Kids. Creative New York City programing for hands on developmental learning of artists, cultures and media. Join your child, side by side, in the experience of learning about art through making hands-on projects using unique materials! 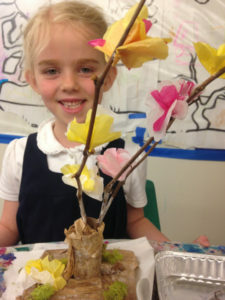 You and your child will be introduced to modern and contemporary artists and diverse cultures using a wide variety of media and techniques including (one each class): paint, clay (including kiln-fired), wood, encaustics, dioramas, papier-mâché, wire, cloth, photography, stop-motion animation and more. This class will meet at All Souls Church to work on museum and gallery-inspired projects. $170 per Child-Adult Duo. $75 sibling fee. Want to create your own Adventure? Intersted in other dates? Click “Pre-Register” and tell us more!